The following information is provided to help make your shopping experience easier. If you have a question that is not answered below, please contact us. 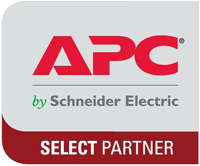 APCRBC.com.au is a dedicated online APC UPS and Replacement Battery reseller. Not carrying stock keeps our costs down which makes the products cheaper for you. Not carrying stock means we don't have to worry about the batteries inside the units getting old if a particular model doesn't sell. Not carrying stock means that the equipment doesn't have to come from our warehouse every time, we arrange for the UPS to be shipped directly from the distributor warehouse to you. Again, this keeps costs down and makes the product cheaper for you. Most online resellers work the same way, and get daily updates from their distributor on stock levels then upload that to their website to be represented as their own stock. We could do that too but we have chosen not to because we believe it's misrepresentation, plus building a site suitable for that requires super-technical web programmer type people that like to charge lots of money which would increase our cost and therefore the price of the equipment. We DO carry stock of most battery cartridges and ALL battery kits because these are high-turnover items. When supplying cartridges we also cover the cost of returning your old battery cartridge where there are components that can be re-used rather than going to land-fill sites. All batteries are recycled through our approved and ISO accredited recyclers and re-usable components are.....re-used. As well as the genuine APC RBC cartridges and battery replacement kits, we also offer refurbished cartridges. A cheaper battery replacement option than genuine RBC cartridges without the hassle of having to re-pack a cartridge yourself. We collect used cartridges and strip out the old batteries for recycling. Then we clean the cartridge and assess its condition, metal cartridges that have corrosion or plastic cartridges that are structurally damaged cannot be re-used. We check all the battery interconnects, plugs and fuses and replace any that are not 100%. After this they go on the shelf until we receive an order for an ReBC cartridge. When we get your order we put fresh batteries into the cartridge, check once again that it is in good condition and ship it to you complete with our 12 month warranty. Please note that ReBC cartridges may not be available for every model of APC UPS and our stock may be limited by the quantity of good cartridges available. All products come with manufacturers warranty, please see the product page for warranty details. The warranty begins from the day it leaves our warehouse or the distributor warehouse and normal warranty conditions apply, so don't drop it, kick it, set fire to it or use it as an anchor. Seen it cheaper somewhere else, then go buy it! Honestly we don't expect anyone else to have the gear cheaper but from time to time other stores may have old stock they need to clear and are selling it below cost. We would appreciate if you could let us know if you've found it cheaper somewhere else, it helps us screw down our distributor to get better prices for everyone. If you've got a large order however, by all means let us know the details and we'll sharpen our pencil.